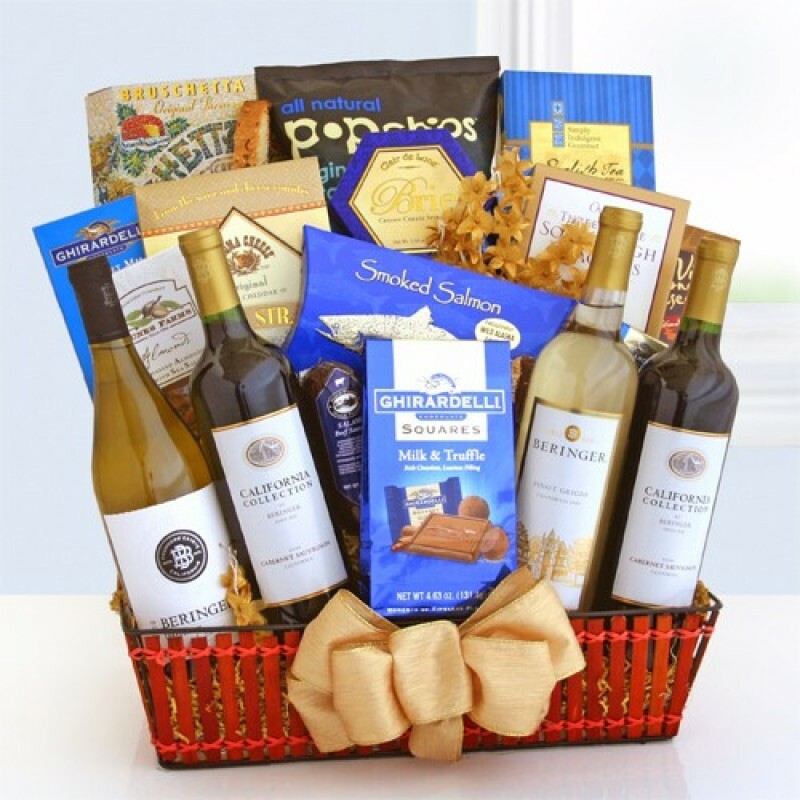 Make any event a festive celebration when you send this over-the-top gift basket that’s filled with everything that’s oh, so good! Indulge your favorite group of revelers. Four bottles of California wine: a chardonnay, a merlot, a cabernet sauvignon and a pinot noir accompany bruschetta crisps, salami, roasted salted almonds, Brie cheese, crackers, Sonoma cheese straws, Popchips, biscotti, English tea cookies, Ghirardelli milk chocolate bar and a gift bag of Ghirardelli milk chocolate truffle squares.